This year’s color of the year from the color experts at Pantone is Marsala, a rich red-brown that emanates a sophistication and earthiness. This bold color easily translates well into the home décor arena, from custom fabric to window treatments to wallpaper. Here at Windows, Walls & More serving the Novi, MI area, our interior design consultants will work with you to incorporate Marsala into your home design. Variations of Marsala look beautiful on walls. Use paint, or choose Marsala-inspired wallpaper, to create an accent wall. Red hues are thought to stimulate the senses and our appetites, so Marsala is a good choice for a dining area or kitchen. Marsala shades work well in transitional spaces, especially when paired with other warm hues, such as reds, yellows, oranges and true browns. 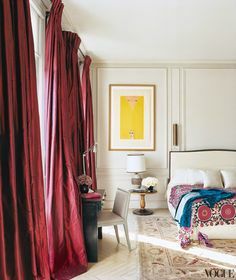 Custom drapery is an easy way to bring Marsala into a room. Choose from a variety of fabrics that use Marsala as a solid or as part of a pattern. Complement your drapery with custom fabric pillows and other accents. Custom bedding is a beautiful way to use Marsala in your bedroom design. Create a custom comforter, or design throw pillows and shams that bring the color in as a bright accent. Our designers can work with you to make this new color a bold part of your bedroom makeover, or introduce it in a more subtle way. Windows, Walls & More was established in 1977 and has become the leader in window treatments and window treatment motorization, as well as wallpaper, interior design and more. 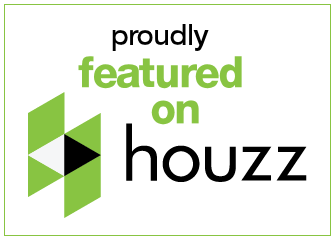 With a beautiful Hunter Douglas Gallery showroom in West Bloomfield, Windows, Walls & More serves West Bloomfield and the surrounding areas, including Birmingham, Farmington Hills, Bloomfield Hills, Commerce Township, Northville and Novi. 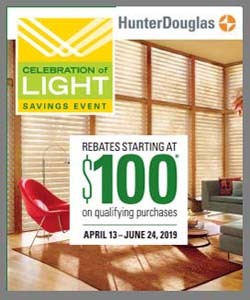 Stop by our Hunter Douglas Gallery to see our many functional window covering displays. For more information, or to schedule your free in-store consultation, give us a call today at 248-661-3840. Where Has the Color Gone In Home Design?